We love the fact that there are windows all around the living area. Pockets are well appointed down the centre of the sleeping compartment. Two side entrances, one with a rain 'porch' (brilliant idea!) and a central opening flap; each has a 'curtain' which can be folded down and a fly screen which can be folded down or zipped around instead of the door if preferred. There are 2 'bedrooms' - these can be completely separate, made into one large bedroom or one can be removed completely to leave extra storage / living space. It is easy to put up - one person could manage on their own. What would make it better? If poles could be supplied to keep up the central opening flap, but we have some from an old tent we can use. Really pleased with this tent. Add your review of the Covington 4! The Covington 4 tunnel tent uses three pre-angled Duratec poles for strength while minimising weight and pack space. The PU-coated polyester fly has a 3,000mm hydrostatic head and all seams are taped for weather-beating performance. This is enhanced by the sewn-in welded PE groundsheet and Dry Zip System. Five large windows and big vents keep the tent interior light and airy and the front door panel can be rolled up for maximum exposure to the sun and breeze. The side entrance is a rain-safe door that features a large eye-brow porch that prevents water entering the tent when used during rain. Inside, a cable entry allows the use of an electric hook-up. The pre-attached Universal Inner Tent provides the opportunity to reduce its size to create extra living space when needed. 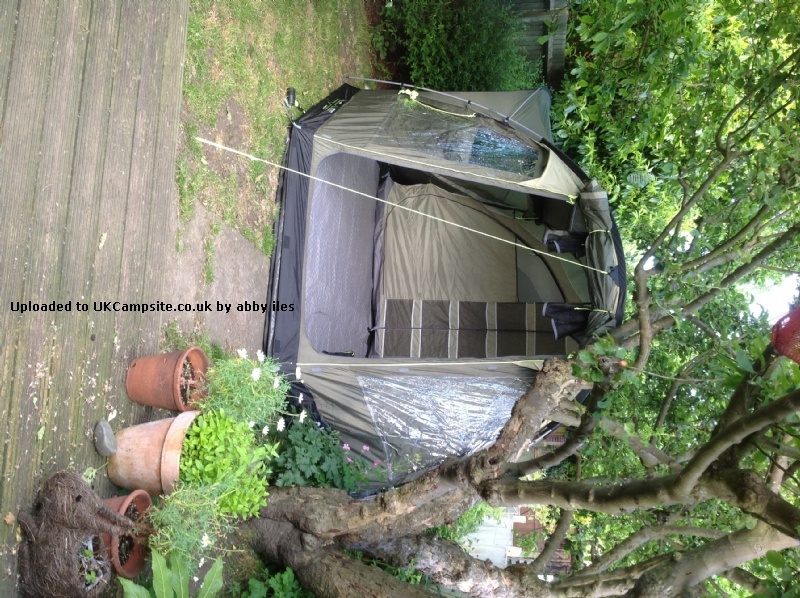 Recommendation: Compact tent, with clever use of space, for families of up to four.